We have been meeting wonderful, discerning families for nearly 20 years who are eager to find the right school for their child. We are honored when they choose Mt. Helix Academy to provide their child the high quality education for which they are searching. In their quest for the right school, families ask us many questions and some of these are asked, in one way or another, by just about all the families that evaluate Mt. Helix Academy’s potential for their child. We provide our answers to these questions here. Of course, we always welcome further questions on any of the topics included here, as well as on topics that are not raised so frequently. How many students attend your school; what is the boy to girl ratio; and what is your class size? During the past few years Mt. Helix Academy has averaged just over 200 students each year. On average over the past five years, about 60 percent of our students have been boys and 40 percent have been girls. At Mt. Helix Academy, we keep the number of students in an instructional group small in comparison to other schools. There are two important reasons. The first is that we group students for instruction based on their skill level in a curriculum strand like reading or math. The second is that we do not want to have more students in a group than the teacher can carefully observe, particularly in core skills where quality feedback to each student is necessary for them to master the material. Direct Instruction or DI is the name used to describe a group of highly effective, research-validated teaching programs. At Mt. 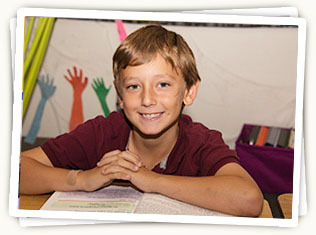 Helix Academy, we use Reading Mastery for basic reading, Connecting Math Concepts for elementary math, Spelling Mastery for spelling, Language for Learning for critical thinking, and several other DI programs. These programs are systematically designed and researched to make it easy for students to gain and apply important skills and knowledge. New skills and information are taught in a logical progression so that students retain what they have learned and they apply their knowledge quickly. In order for every student to achieve a high level of mastery of each skill, the teacher first models the skill, then the students practice the skill with the teacher, and finally, the students practice the skill independently. Once students have shown that they have mastered the skill, the teacher moves on to the next lesson. As a result of this method and the numerous sophisticated teaching strategies built into DI programs, students are highly successful in their academic classes and they develop strong self-confidence in their abilities as learners. You can learn more in our Curriculum for Academic Achievement. The majority of our teachers have California teaching credentials, but please read on. It might be surprising to learn, however, that a teaching credential means less than it should. One reason is that obtaining a California teaching credential does not depend on knowing how to implement teaching methods that are supported by research. It doesn’t even require that the teacher know about them. Can you imagine if that were true in medicine? The Institute for Effective Education (TIEE), Mt. Helix Academy’s parent organization, has been in the forefront of teacher training in San Diego and its schools have been implementing research-validated teaching methods for over 25 years. TIEE provides pre-service training, in-service training, and hands-on coaching to all of its teachers, regardless of their level of experience, and the training is conducted by highly skilled teacher trainers who can “walk the walk.” One of the Director’s main duties is to provide the coaching and training staff members. How do teachers manage children with behavior problems? Managing behavior problems is mostly a matter of preventing them and prevention is a primarily a matter of three teaching strategies, all of which are supported by a great deal of research. First, Mt. Helix Academy students are carefully taught important classroom, school, and playground procedures and expectations, and they are then given lots of practice in doing things the right way. The second prevention strategy involves placing students in instructional groups that are at the right level for them. Behavior problems often emerge when the material is too easy or, more often, when it is too hard. The third and possibly the most important of the three strategies we call “catch ‘em being good.” Mt. Helix Academy teachers catch our students being good frequently and praise them for their successes. Because our students receive so much positive attention for doing the right thing, they quickly learn that succeeding and behaving in an appropriate manner is rewarding and fun. Occasionally a student’s misbehavior must be penalized. Time-owed or a time-out is our method and, when necessary, we deliver these penalties in a neutral, business-like manner. Students are never yelled at or demeaned. Finally, although there never has been cause to implement it, Mt. Helix Academy is a “zero-tolerance” school with respect to drugs, weapons, assault, or other actions that are illegal. Do you give standardized tests and, if so, how do your students perform? Yes, we administer standardized tests each year in spring, Students in classes TK – 2 are administered the latest edition of the Wechsler Individual Achievement Test (WIAT-III). The remaining elementary and Jr. High students are given the latest edition of the Stanford Achievement Test. Results are shared with parents. On average, our students are high achievers and the standardized tests confirm it. You can see a rather detailed display of the results in our School Achievement Report Card (SARC). Do you offer any enrichment programs? Mt. Helix Academy is proud to have strong visual arts, music and performing arts, language, and physical education programs in addition to many extracurricular offerings for its students. Students in Kindergarten through fifth grade have a visual art class each week, a music class twice a week, a computer class twice a week, a Spanish class twice a week, and Physical Education every day. Jr. High students study both Spanish and computer applications five times per week. They also have the opportunity to participate in a variety of elective classes, that have included digital photography, journalism, American Sign Language, dance, visual art, cross country and running, Japanese, and Associated Student Body. Mt. Helix Academy presents a high-quality, annual musical production in which students from all grades are welcome to participate. We have performed productions of Annie, Beauty and the Beast, and The Wizard of Oz, Joseph and the Amazing Technicolor Dreamcoat, Sound of Music, Annie Get Your Gun, Seussical The Musical, and others, all to rave reviews. Mt. Helix Academy is fully accredited by the Western Association of Schools and Colleges (WASC). We received the highest level of accreditation possible, which WASC almost never grants to its first-time applicants. The visitation committee was highly impressed and gave us numerous accolades, including recognition for implementing a research-validated educational program. CA Department of Education CertifiedMt. Helix Academy is also certified by the California Department of Education to serve students with special needs on contract with local school districts. The school was site visited by a state review team and earned many accolades from them. They were especially impressed with Mt. Helix Academy’s superior program of mainstreaming. How do parents communicate with their child’s teachers? Mt. Helix Academy is very welcoming of parent-teacher communication concerning student achievement. Because of the small class sizes, the instructional methods we use, and our careful data collection, Mt. Helix Academy teachers know their students very well. Their information is communicated to parents through formal report cards at the end of each quarter. Face-to-face conferences concerning student progress are scheduled in November. Parents are encouraged to contact their child’s teachers any time there are concerns or questions. Teachers can be reached easily by email or phone. A meeting with teachers can be arranged by calling the front office. How can parents become involved in the school community? Parents are encouraged to become involved in our school community in a variety of ways. Our Parent Teacher Group (PTG) meets once a month to help plan school activities as well as fundraising activities to benefit the students and school. Their goal is to assure a positive experience for our children, creating wonderful and lasting memories of their school years. The PTG has raised funds to purchase important items such as mobile computer labs, Smart Boards, digital cameras, and PE equipment. Each homeroom has a Room Parent, who works with the teacher and helps to plan special activities for their child’s homeroom. Parents are needed and encouraged to volunteer their time in a variety of activities throughout the year, including the Halloween Carnival, Multicultural month, Bingo night, and other school spirit events. How can I be sure my child will be safe at Mt. Helix Academy? Another important hazard for students is horseplay or improper use of equipment. Our students are specifically taught what to do in school and on the playground and they are carefully supervised, with the result that the amount of horseplay or improper equipment use is truly negligible. We implement the methods known as “Peaceful Playground” and you will be pleasantly surprised at how orderly our playground is and how much more fun it is for all of our students. We give extra special attention to the needs of our Trans-K and Kindergarteners, so they have their own recess time. We carefully monitor our students while they are at school, including in the classrooms, the science and computer labs, the hallways, and on the playground. We are equally vigilant when we take our students off campus on their many field trips. We require that all visitors to Mt. Helix Academy check in at the front desk and receive a visitor pass. We practice our clearly specified emergency procedures for fire and earthquake monthly and our Safety Committee meets monthly to review our facility and our practices and to recommend changes that will make us even more safe. We keep our school’s doors locked and access is by electronic key fob or by the person inside who is able to see who is at the door. Where do your students go to school after eighth or ninth grade? San Diego area high schools welcome Mt. Helix Academy graduates. They recognize and appreciate the solid foundation our students have gotten in academics and in study and social skills. Our graduates are often campus models. Each year, nearly half of our graduates enroll in private high schools, including the highest performing high schools in the San Diego area. The other half of our graduates enrolls in public high schools. Whether in private school or public school, our students perform extremely well. Most of our graduates take Honors classes in their freshman year and Advanced Placement (AP) classes in the following years. Our graduates also do very well in college. What are the options for student lunch? Students can bring their own lunch to school. However, the school has no provision for warming food, so previously warmed food will need to be brought to school in a container that keeps it warm. Alternatively, students can obtain a hot lunch from Ki’s School Lunches, which provides a lunch program for Mt. Helix Academy on campus, Mondays through Thursdays. On Fridays, Mt. Helix Academy’s Parent-Teacher Group (PTG) sponsors a pizza lunch. The students love it, parents love it, and the proceeds support PTG activities on behalf of the school. Students are required to wear a designated school uniform to school each day. Students are also required to wear appropriate uniform attire for all off-campus field trips and other events sponsored by the school, unless specifically notified otherwise.